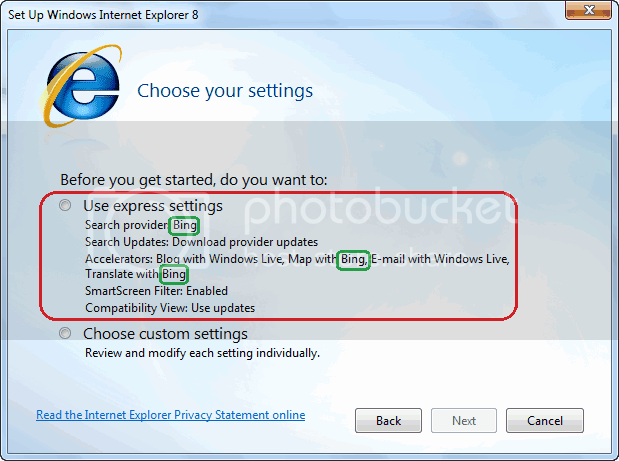 Bing is default Search Provider in IE8 of Windows 7 RTM. Bing is now our default Search Provider and is also added in the context menu of IE8 in the newly released Windows Se7en version i.e. RTM. In Accelerators of IE8 Bing is now added as default Map provider and the option of translating comes with Bing. Here is a screenshot of the IE8 first run setting dialog box.